Balance for the soul: With a well-balanced scent, you can start every day with plenty of energy. 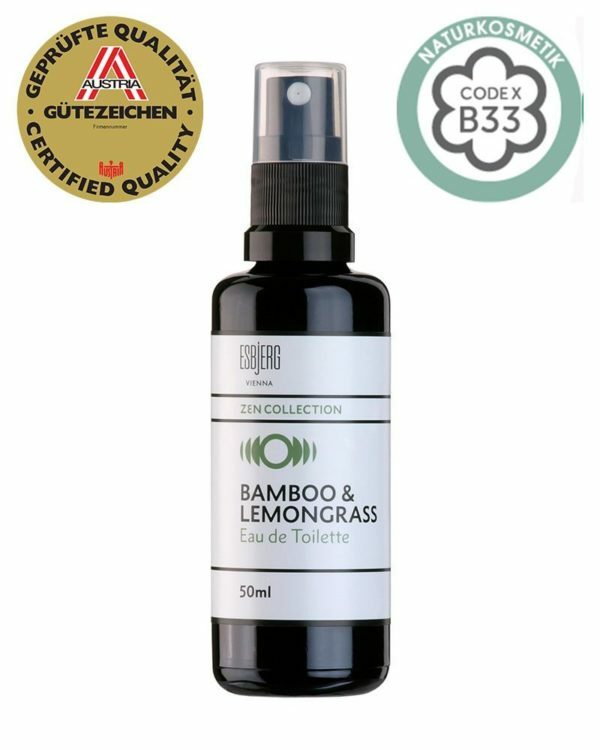 The harmonic interplay of bamboo and lemongrass makes this fine Eau de Toilette of ESBjERG’s ZEN Collection to an attractive and natural companion – perfect for all daily activities. 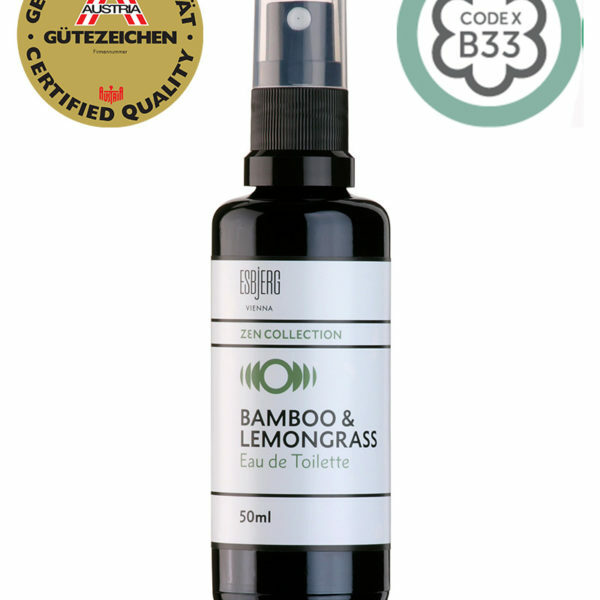 Due to only using fully natural essences, the scent is long-lasting and economical at use. The Far Eastern scent composition bamboo lemongrass provides an energizing cocktail for your senses, finding the perfect balance between pleasant intensity and fine presence. The spicy-floral shades of bamboo, enriched with the aromatic freshness of lemongrass, make for a unique woody and overall revitalizing scent composition.